joining the Campagnolo Gran Fondo Roma means taking part in an amazing celebration of cycling, surronded by the striking scenario of Rome, with its eternal wonders and its magnificent history. Ask for Information or REGISTER NOW! The Gran Fondo Campagnolo Roma is a fantastic celebration of cycling in the eternal city of Rome. As official partner of the event, Bike Division offers customized packages with all services you need to make your experience unforgettable: accomodation, privileged grid, bike tour, and much more. 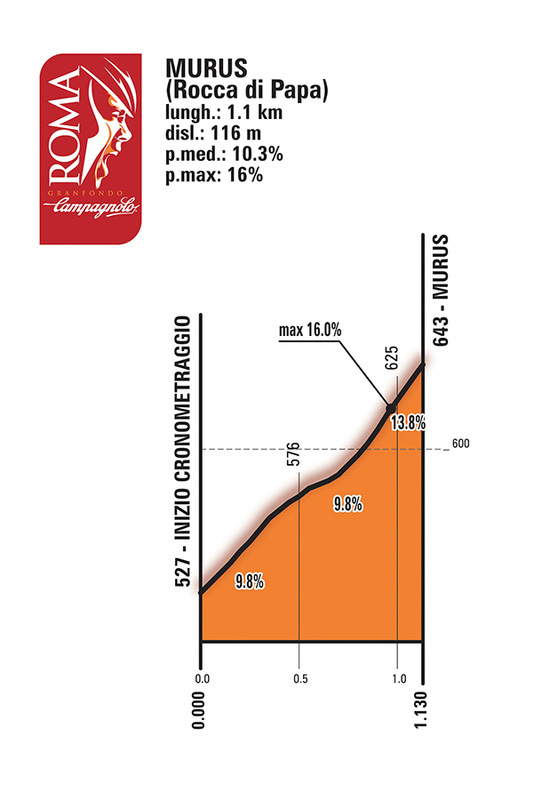 The Gran Fondo Campagnolo Roma has a length of 75 miles with an altitude of 6,643 ft elevation. For well trained riders. Certainly challenging and suitable for those with well trained legs and lungs. For this reason, to make it even more attractive to those who see the bike a means to compete (with others or themselves), the routes are varied and difficult. The route within Rome: Fori Imperiali, Piazza Venezia, Piazza Argentina, Corso Rinascimento, S. Andrea della Valle, via Tomacelli, Largo Goldoni, Via del Corso, Piazza del Popolo, LungoTevere to Via di Porta San Sebastiano. Then, once out of town in the direction of the Castles immortalized by centuries of stories, poems, songs and movies. Ancient villages, evocative, steeped in history and immersed in enchanted landscapes. 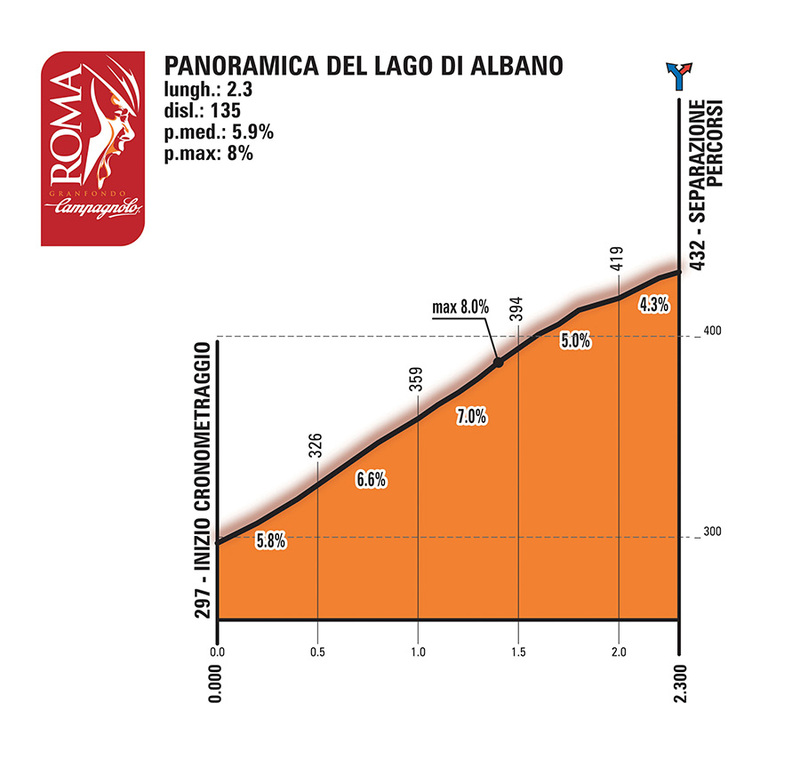 Lake Albano, which the Pope's summer residence oversees, Rocca di Papa, Rocca Priora, Montecompatri are our four challenging timed climbs, with hard, dry features as they say in cycling words, could "be very painful" the muscles already tested by a path not exactly flat, especially in the city section with Roman cobblestones reminiscent of the legendary North European pavé. 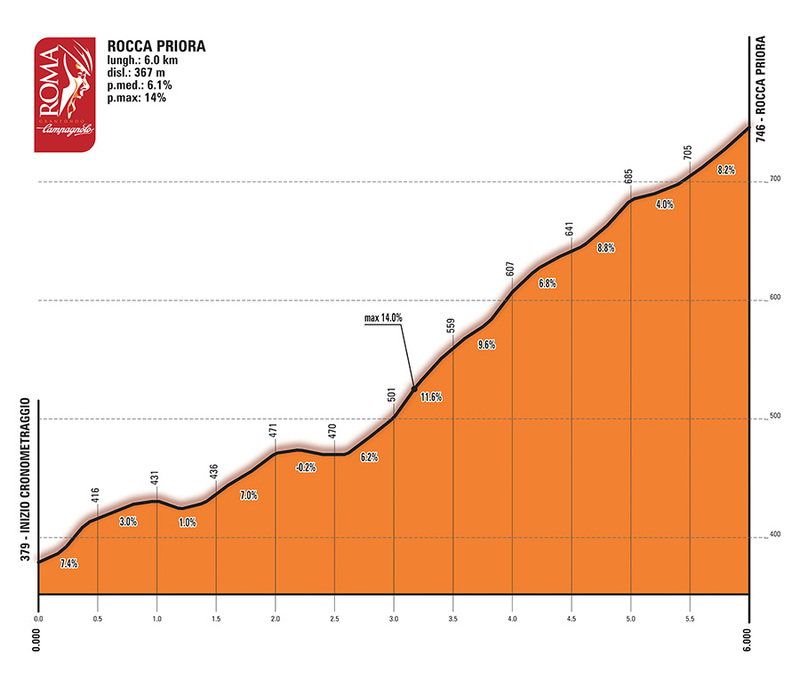 The ciclopedalata "In Bici ai Castelli" is approximately 37 miles with total climbing of 2,132 ft elevation. For enthusiasts to enjoy cycling in Rome. Open to alls , without any medical certificate, dedicated to those who want to enjoy a day of testing but relaxing moments on bike, along the streets of Rome, to the castles, with a lunch break in Marino and the finish line on the Appia Antica. Bringing together sports, health and fun, totally immersed in the story that streets and monuments have handed down to the present day. You can participate with any bike, even with an e-bike. Very suitable for groups of cyclists, families, cycling enthusiasts. 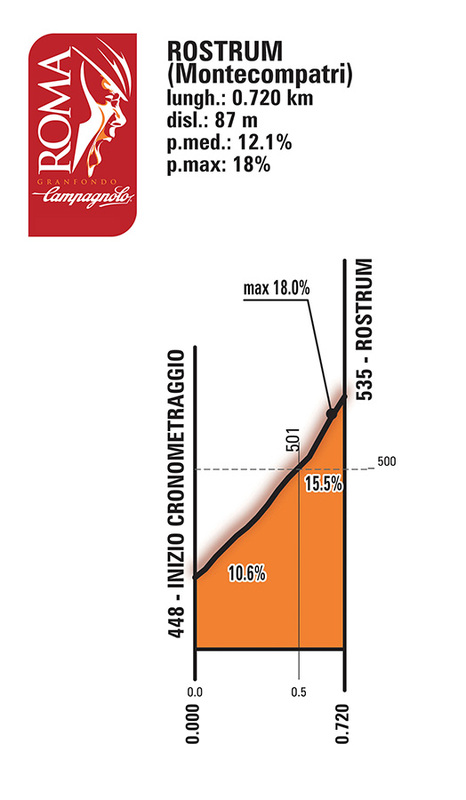 Every finisher will receive a diploma, similar to the Gran Fondo Campagnolo Roma riders.